First of all a confession. I love Patrick Stewart. I have done since I was 14 and obsessed with Captain Jean-Luc Picard. I even had his picture on my wall next to those of Take That. So you won't be surprised that when I spotted this video I just had to watch it. It made me laugh. Then I just had to share it. First because it had Patrick Stewart in it, and second because I couldn't agree more with the sentiment and wanted to share how ridiculous the argument against the ECHR is! Patrick Stewart is perfect for this. 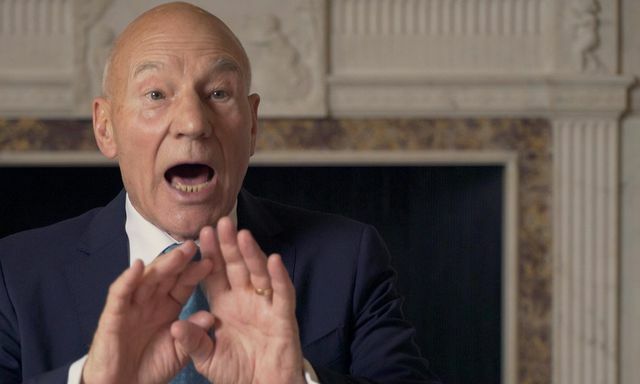 He attracts the right target audience (those most likely to vote in the EU ref), he is pro-EU and pro-human rights, he is known for his satirical take on popular issues, and he is one of the world's best known actors - so he is going to get traction. It is an authentic and engaging take on a serious issue. This is a good lesson for any brand or cause who is engaging a celebrity or influencer. They have to be in step with your brand values, authentically articulate your story in a memorable and engaging way, and they absolutely have to resonate with your key audience. I'm hoping to see a lot more of this from the remain campaign in the coming weeks. Bravo.